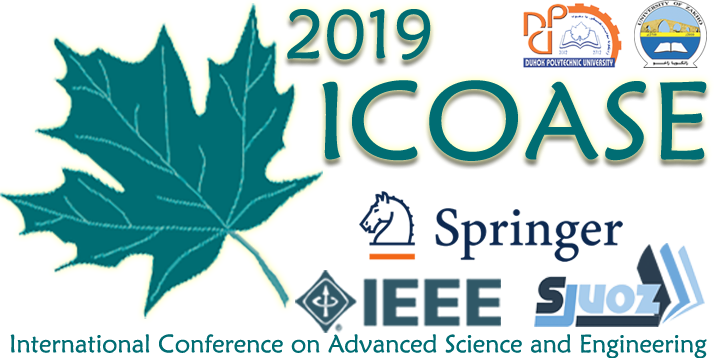 Accepted papers will be submitted by the conference operation department to either in IEEE Xplore digital library, Springer, or Science Journal of University of Zakho for publication and indexing. if the quality and findings of the paper are not well explored and convincing. This will be checked by IEEE with all accepted paper. Any accepted paper without presenting the work, the paper will be withdrawn from the conference proceeding, (will neither be submitted to the IEEEXplore Digital Library nor to SJUOZ).